Every spring, Beijing World Youth Academy’s (BWYA) four campuses become unusually quiet as students from all age groups embark on exciting journeys of exploration and experiential learning. Students get the opportunity to benefit from the best of local traditions, customs, and heritage, while also crossing borders to expand their international horizons, in keeping with the BWYA motto of ‘locally grounded, globally aware’, throughout what has become know as Trip Week. Trip Week takes place every year as part of BWYA’s Classroom Without Walls Programme (CWWP). At BWYA, staff and students alike understand that some of the best learning takes place when away from the classroom and out into the real world and Trip Week represents the highlight of the CWWP every year. As well as being a valuable learning experience, Trip Week also provides opportunities for worthy CAS and SA projects which encourage students to give something back to the communities they are learning from and spending time with. It gives students a deeper experience of local traditions and customs, both in China and overseas and the BWYA teaching staff and Enrichment Team work very hard in collaboration with each other to arrange trips that are educational, informative, rewarding, and fun. 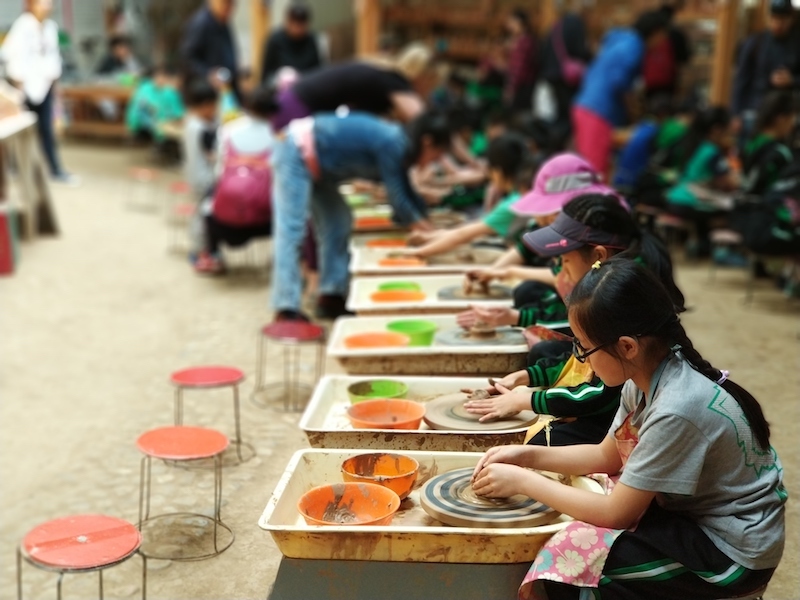 BWYA’s Primary School students take advantage of everything Beijing’s bustling city center and surrounding countryside have to offer, spending the week doing exciting activities and day trips. This year they took on the challenges of hiking, climbing, rafting, and kayaking, as well as visiting fun and interesting places like the Beijing Planetarium, Aquarium, working farms and The Summer Palace. Each of their destinations was chosen by teachers and the BWYA Enrichment Team to make sure they were suitable with plenty of activities that would provide fun but valuable learning experiences as well as personal development activities and team working opportunities. Many of the places the young learners visited also had links to the Units Of Inquiry they had been working on in their classrooms. For example, grade 5 students ended their week with a trip to the Beijing Planetarium to see just how much they had learned from their Space Explorers Unit of Inquiry. For BWYA’s Upper Primary School children, Trip Week includes overnight stays at the Terratribes Adventure bases. For grades 3 and 4 this is one night, while for grade 5 it’s two. For many of the young adventurers, this is their first time staying away from home without their parents and is, therefore, a valuable learning experience for their personal development. It helps foster their independence in a safe environment with support from their friends and the familiar faces and reassuring presence of their teachers. By traveling around China, BWYA’s middle school students can get hands-on with local traditions, culture, and history, and give a little back to communities around the country. This year, grades 6 to 10 students visited some spectacular destinations in China. They enjoyed Kung-Fu lessons from Shaolin monks, took part in ancient local ceremonies while wearing traditional costumes, learned all about local arts, crafts and music and tried them out for themselves, as well as benefiting from visits to museums, art galleries and places of interest and cultural significance all over China. Trip Week is also about community and making a difference, so BWYA students enjoyed school exchange activities with local schools in the regions they visited, working with local communities and participating in their daily lives, as well as spending time with disadvantaged children, and those with learning difficulties. The Trip Week programme for DP1 students was created with CAS in mind and is strongly linked to their studies. This year, for example, humanities students who had been studying modern European history traveled to Germany and Poland to visit sites of historical significance to that time period. Other DP1 students traveled to Thailand where CAS activities included working with local disadvantaged communities and helping out at wildlife conservation projects. Not all the DP1 students traveled. However, those who stayed in Beijing benefited from a week-long programme of student-led CAS activities researched and organized by the students themselves. These included painting murals at the Shunyi Art Zone, cycle tours around Beijing city center, and a hike around Fragrant Hills. BWYA staff and students are dedicated to a rich and rewarding learning experience, whether that is behind a desk or out and about exploring China and beyond. Whether it’s staying local or traveling globally, Trip Week sees BWYA contributing to the communities who are such welcoming hosts and learning from the places and people they encounter on their journeys.